This delicious savoury snack is vastly appreciated. Crispy and crumbly, they are ideal for a light and tasteful break! 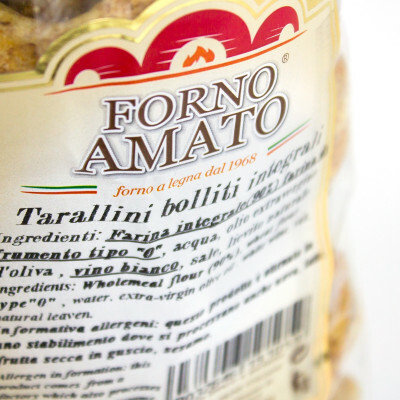 Tarallini are a delicious snack obtained by the simple processing of flour, oil and wine. 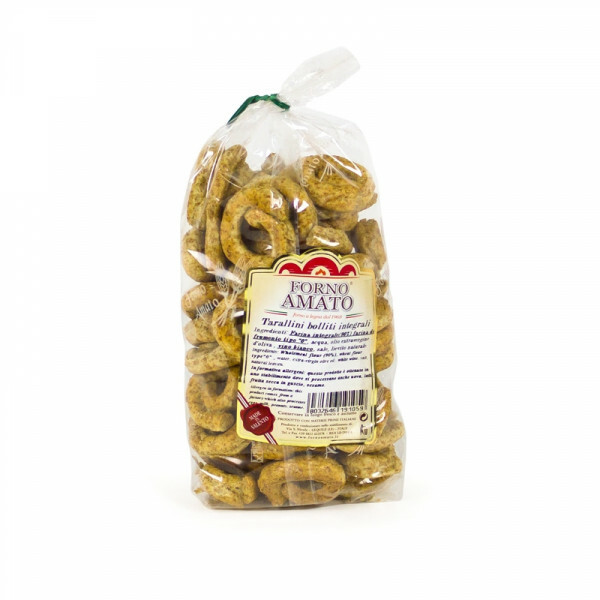 There are different types of taralli, from the classic made with white flour, to those with fennel, or chilli. In this recipe of taralli, they propose delicious wholemeal flour, light and tasty. Wholemeal flour (50%), flour type "0", water, olive oil, white wine (sulphites), salt, natural yeast.